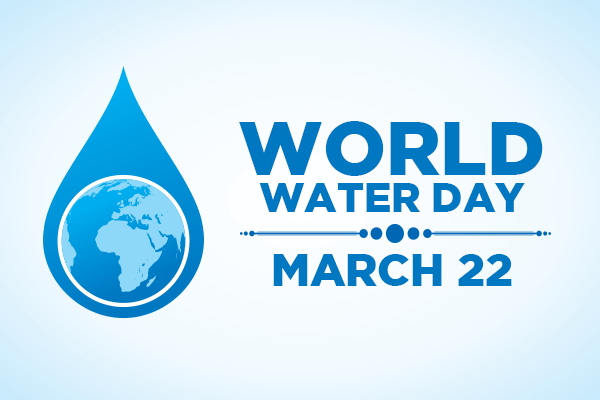 World Water Day takes place on 22nd March every year. It is held to act on and tackle the world’s water crisis, with a target to make sure everyone on the planet has access to safe water by 2030. The theme for World Water Day 2019 is ‘Leaving no one behind’. This is an adaptation of the central promise of the 2030 Agenda for Sustainable Development: as sustainable development progresses, everyone must benefit. We are going to focus on 5 ways you can reduce your water waste. It is well known that taking a shower will use much less water than having a bath. On average a bathtub requires about 70 gallons of water, while taking a five-minute shower uses 10 to 25 gallons. So, you could have a 5 minute shower a day for 1 week which would accumulate to the same amount as having just one bath! We are all going to experience some leaky plumbing in our lives and if you’re like me you may put it off for as long as possible before you get someone out to fix it. This isn’t good, ignoring a small leak in your home could amount to a huge amount of water waste. Leaks from pipes, plumbing fixtures and fittings are a significant source of water waste for many households. Research has shown that the typical home can lose 2,000 to 20,000 gallons of water per year due to leaks. We use taps to run our baths, brush our teeth, and wash our hands and for many other everyday tasks. According to waterwise.org ‘a running tap wastes over six litres per minute’, this means if adults brush their teeth the recommended twice a day for two minutes they could be wasting over 24 litres of water a day, this is more than is used in the average dishwasher cycle. Now, I don’t mean literally don’t wash your clothes. However, ensuring you’re not doing wasteful washes will ensure that you keep your water usage to a minimum. Washing a full machine load of clothes uses less water and energy than 2 half-loads . This is a bonus too as it means lower bills as well. The average UK household flushes the toilet 5,000 times per year . Which is why modern dual-flush systems save huge amounts of water. These systems use just 6 litres or 4 with a reduced flush which is much less than the 13 litres for each old-style single flush. These few tips are super easy to change in your lifestyle every day and it could mean a huge amount for our environment! Do you have any other tips? Let us know by leaving a comment below.